Our singing waiters and surprise singers are a fresh new act to the entertainment and wedding industry. Made up of four charming and talented male opera singers with the option to book three or four singers. This singing waiter and surprise singers act do things a little bit differently to other singing waiter acts focusing on the performance with a 10 – 20 minute mix and mingle with your guests in disguise before they burst into song. Everything will be tailored to you and your event so for more information please do not hesitate to contact us so we can discuss your event in more detail. 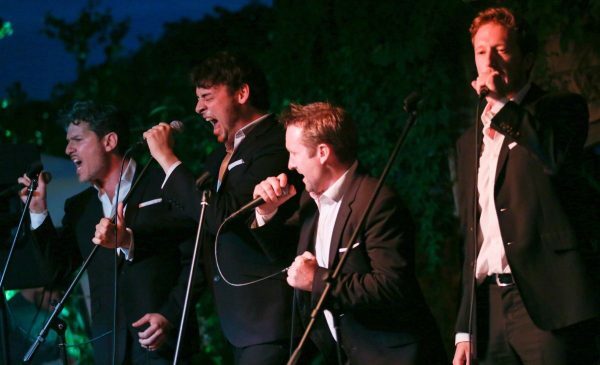 Singing Waiters Operatico are London’s answer to Il Divo, a sensational male opera group made up of four charming and very talented opera singers, performing pop to opera classics. Male Opera Singers London Operatico from Operatico on Vimeo.